Arsenal pick up a 3-0 win over Rennes in the second leg of their Europa League last-16 tie at the Emirates Stadium to advance through 4-3 on aggregate. Tottenham Hotspur striker Harry Kane becomes the highest-scoring player in Premier League North London derbies with his ninth goal against Arsenal. First-half goals from Alex Iwobi and Alexandre Lacazette earn Arsenal a 2-1 win over rock-bottom Huddersfield Town at the John Smith's Stadium. 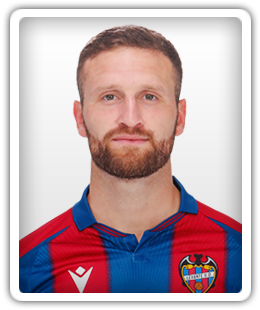 Arsenal manager Unai Emery is reportedly willing to listen to offers for defender Shkodran Mustafi this summer in an effort to boost his transfer funds. Arsenal boss Unai Emery will only have £40m to spend on new signings at the end of the season, according to a report. Arsenal make it back-to-back victories in the Premier League by overcoming Cardiff City 2-1 at the Emirates Stadium. Ahead of Saturday's Premier League showdown between Arsenal and Chelsea, Sports Mole selects its strongest combined XI from both squads. Sports Mole looks at how Arsenal could line up against West Ham United after seeing six players return to full training this week. Ahead of Saturday's FA Cup clash between Blackpool and Arsenal, Sports Mole looks at Unai Emery's side could line up at Bloomfield Road. Arsenal move back to within two points of fourth-placed Chelsea in the Premier League with a flattering 4-1 win over Fulham at the Emirates Stadium. Sports Mole previews the New Year's Day Premier League showdown between Arsenal and Fulham, including predictions, team news and head-to-head record. Sports Mole previews Saturday's Premier League showdown between league leaders Liverpool and Arsenal, including predictions, teams news and head-to-head records. Sports Mole looks at how an injury-hit Arsenal side could line up for their Premier League match against unbeaten leaders Liverpool at Anfield. Ahead of Saturday's Premier League clash between Liverpool and Arsenal, Sports Mole selects a strongest combined XI from the two squads. Sports Mole previews the Boxing Day clash between Brighton & Hove Albion and Arsenal, including predictions, team news and head-to-head records.